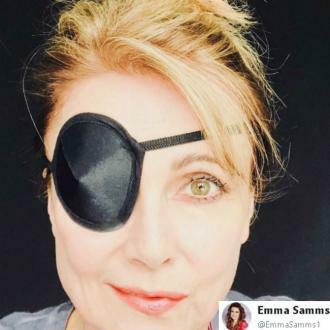 Emma Samms was forced to wear an eye patch this week after she was struck down with Bell's palsy, which left her face temporarily paralysed. Emma Samms has been struck down with Bell's palsy. The 'Doctors' actress - who re-joined the BBC One soap last month as Amanda Clay - took to Twitter to reveal she has been forced to wear an eye patch this week, after being hit with temporary facial paralysis. 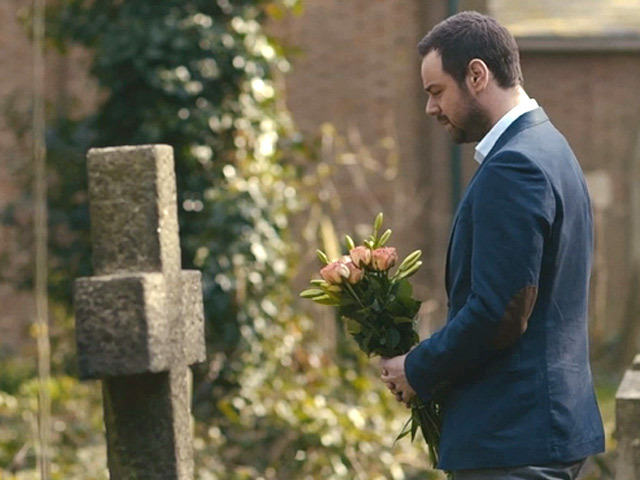 She wrote on Twitter: ''So. For the past week I've had a thing called Bell's Palsy. I have a wonky smile, am in slight danger of dribbling a cup of tea and can't close my eye. Not the end of the world. Former 'Dynasty' star Emma - who played Fallon Carrington Colby in the prime-time US soap opera opposite Dame Joan Collins - was inundated with support from her Twitter followers after discussing her condition, but admitted she wasn't too concerned because there are ''bigger things to worry about'' than a wonky smile. Emma's face paralysis has since dramatically improved, so much so she has been able to remove her eye patch. She tweeted: ''Happy to report that the paralysis on my face is now 90 percent better and I no longer need to wear the eyepatch. The 57-year-old star admitted she was grateful that her former 'General Hospital' co-star Sherilyn Wolter had been looking after her ''wonderfully''.